Many of us hold on to the idea that we can create a world for ourselves that has minimal pain and suffering. 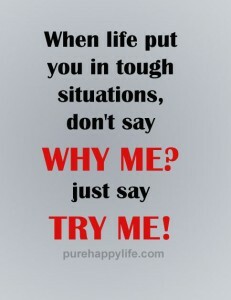 So when adversity hits we become even more upset because we feel it is unfair and it should not be happening. One of the ways we do this is to control and limit our stress. It is a viable strategy at some level and it makes more sense than seeking out or creating problems. However, your world will become progressively smaller over time. It is more rational to accept that what we term adversity is simply life. We will all die and most of us will experience major illnesses. We will have close family members that will suffer the same way. I am not going to go into detail about all of the small and large wrongs that happen to us personally and globally. They are infinite. So why would we expect that we will not be exposed to all of this? I have an additional problem is that I teach these principles of processing stress, including the stress of pain. When I get triggered and “fail”, I become incredibly upset that I am failing and I feel that I should be skilled enough that I should not be triggered. It is a double hit. As the pathways are deeply imbedded and severe I always have the same extreme bodily response, which includes a skin rash showing up on my wrists, I can’t sleep, my ears ring, and my feet start burning. Interestingly enough these symptoms often occur before I consciously feel stressed. I work backwards to figure out what the trigger might be and I often cannot solve it for a few weeks. To be successful at any endeavor requires taking risks and experiencing the attendant anxiety. If you are not willing to deal with it then it is probably not worth taking the risk. You have heard the overused saying, “If you can’t take the heat then get out of the kitchen.” It is actually incredibly accurate phrase. So when you “fail” you are welcome to beat yourself up. It is critical not to suppress negative thoughts and emotions. But is important to recognize what you are doing to yourself. Then you have to forgive yourself, get back up and move on. 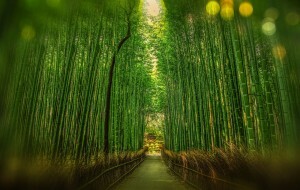 One metaphor that hits me is that of a bamboo grove being buffeted by a storm with high winds. The grove bends and immediately stands back up when it is calm. What about if the wind blows over your garbage can? Are you going to go out and stand it back up while the wind is still at a high velocity? You will take care of it after the storm has passed. It is not helpful for you to fight a sustained battle against something or someone that you cannot solve. You will consume your life energies. When you are down you are down and I think it is important to be able to be OK with it rather than being hard on yourself. No one is asking you to be happy when your circumstances are bad. But you also do not have to pile on yourself and keep beating yourself up. The essence of the DOC project is connected and engaged thinking through awareness. It is a process of learning how to fail and using your tools to get back up quickly. I am like everyone else in wishing that there was end to pain and stress. That is not life. Life keeps coming at you. Let go and live.